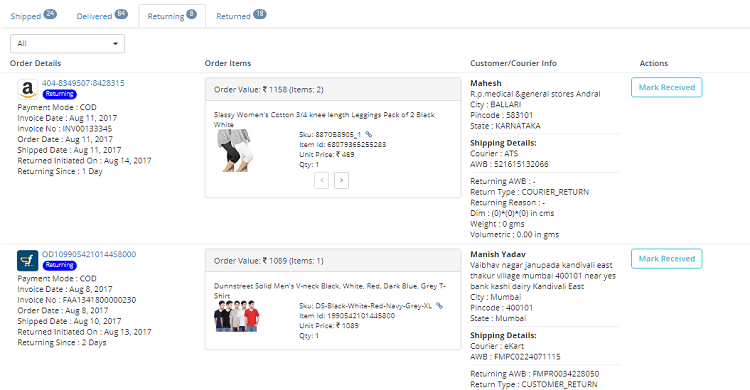 Track, Monitor & Analyze your returns across your sales channels. Acknowledge returns as you receive them. Scan Inspect & Inward your returns. Maintain return records. Analyse for improving profits. 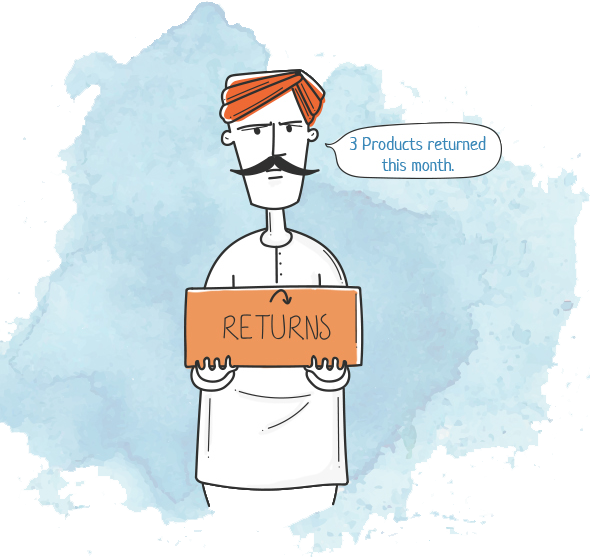 Returned orders eat into your profits, hence its important to reduce your returns to improve profitability. Use the actionable data to decide which products to improve or discontinue. Insight data can help you improve your listing, understand reason for high returns and help improve your profits. Keep track for returns initiated and monitor as the returns are delivered. © 2015-18 Easyops Technologies Pvt Ltd. Various trademarks held by their respective owners.